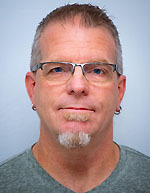 Posted on April 15, 2019 by Dan Boshart wrote in Entertainment News. It has 0 Comment. 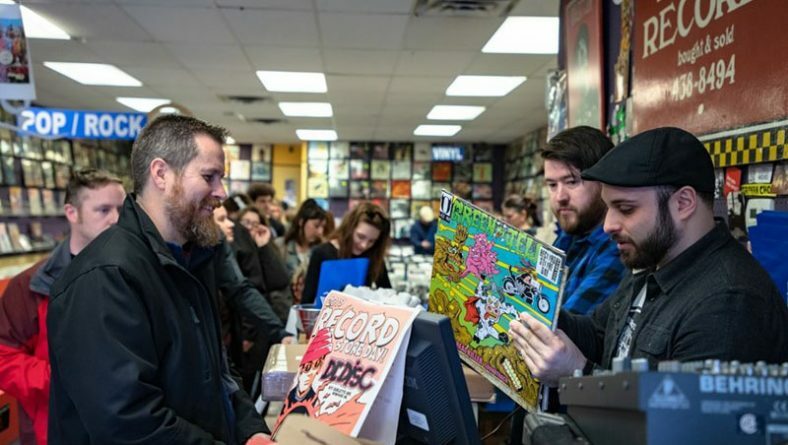 Enthusiastic Music Fans headed to Dr. Disc Records, some as early as 5:00 AM before the doors opened for business to wait in line, in anticipation of the 12th annual Record Store Day on Saturday (April 13). Thousands of independent record stores across the world and music fans have enjoyed the day since it was founded in 2007. 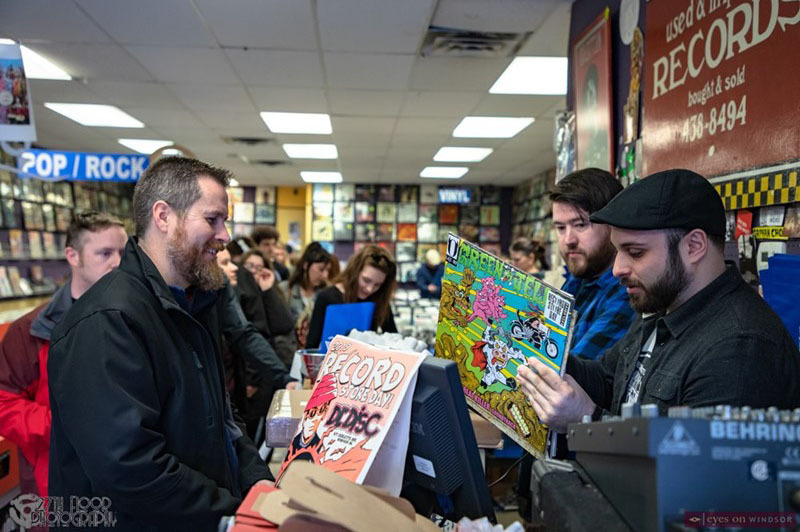 Taking place on the third Saturday in April each year, the day celebrates the culture of the independently owned record store. 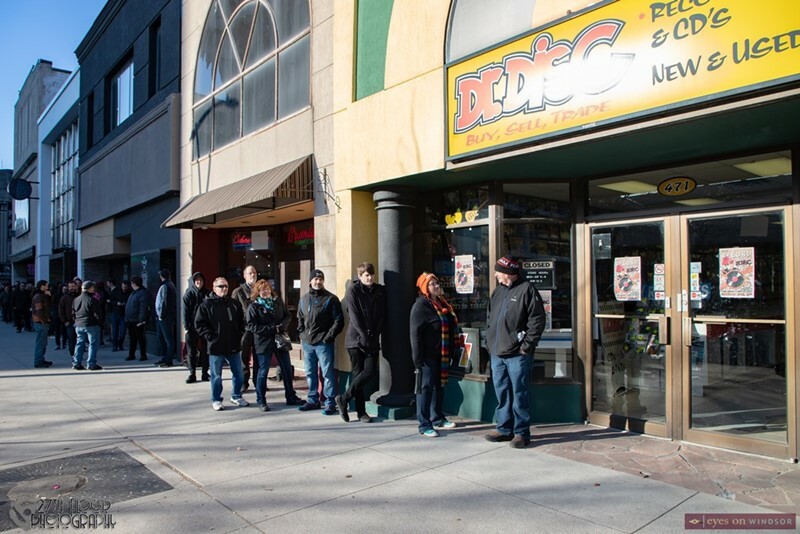 Customers lined up outside Dr. Disc Records before it opened for business on Record Store Day in Windsor, Ontario, on April 13, 2019. Photo by Dan Boshart / Eyes On Windsor. The day brings together fans, artists, and thousands of independent record stores featuring a limited number of vinyl records pressed specifically for Record Store Day, special releases, and various promotional products, only distributed to participating businesses. 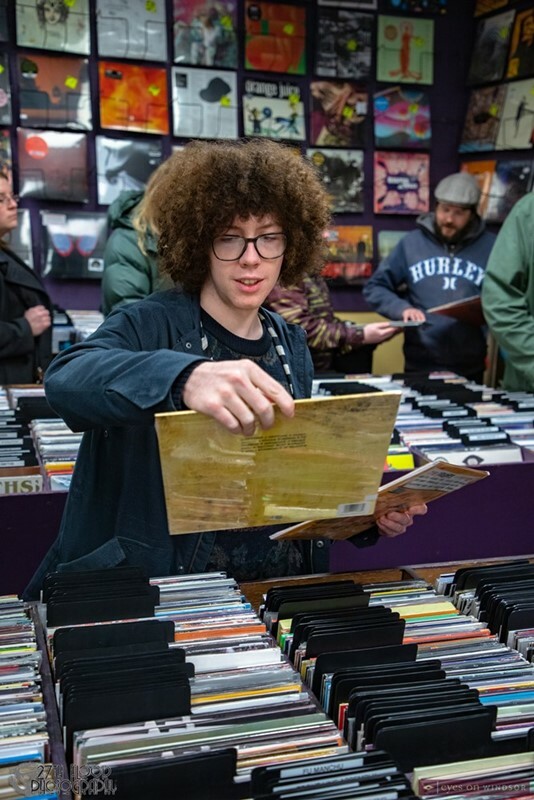 Nate Blackton, bassist and vocalist of local band Talking Violet, shopping for vinyl records at Dr. Disc Records in Windsor, Ontario, on Record Store Day, April 13, 2019. Photo by Dan Boshart / Eyes On Windsor. The first thrity people in line received a Dr. Disc Golden Ticket which entitled them to a cool Dr. Disc T-Shirt and Tote Bag. Customers were also treated to coffee, which was welcomed by those who waited in line in what was a bit of a cool morning. Early in the day the line was about a half block long! 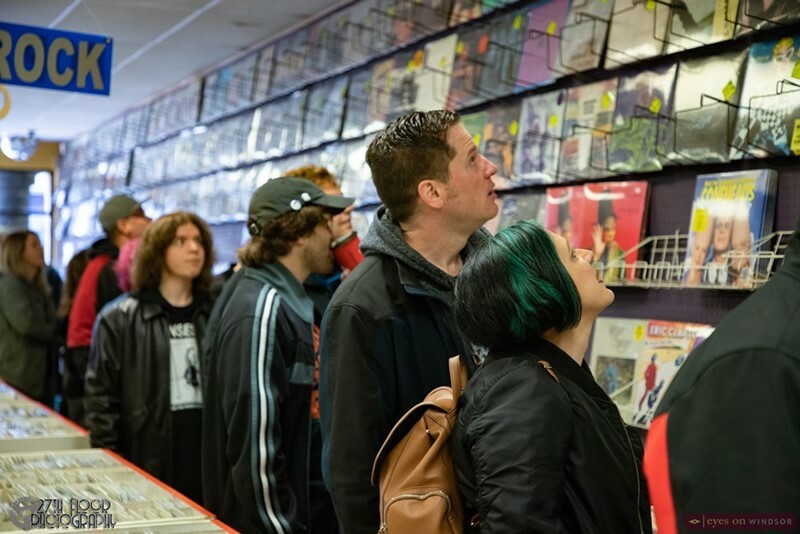 Customers looking at the selection of special limited Record Store Day releases at Dr. Disc Records in Windsor, Ontario, on April 13, 2019. Photo by Dan Boshart / Eyes On Windsor. Customers also enjoyed live music starting in the morning and running through the early afternoon performed by local musicians including Learning, Datsunn, Crissi Cochrane, Tony Coates, Andrew Macleod & Leigh Wallace, Allesandro Rotondi, Brendan Scott Friel, and Huttch. 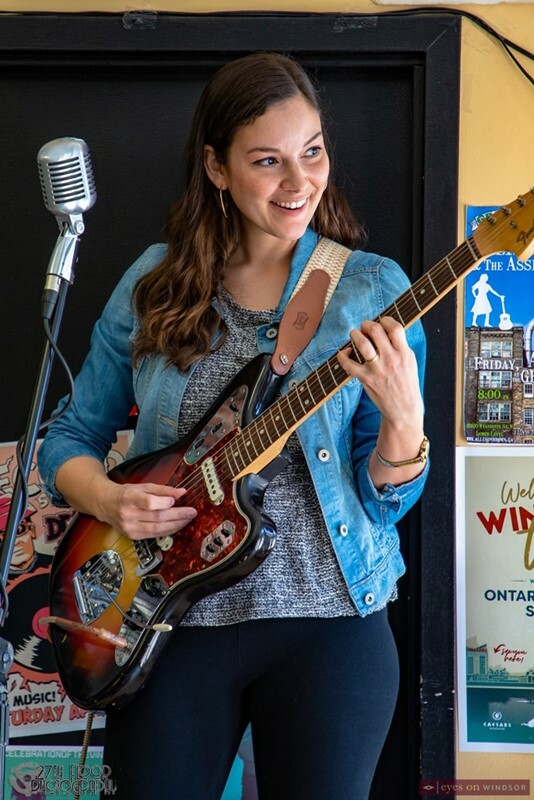 Crissi Cochrane performing live at Dr. Disc Records in Windsor, Ontario, on Record Store Day, April 13, 2019. Photo by Dan Boshart / Eyes On Windsor. 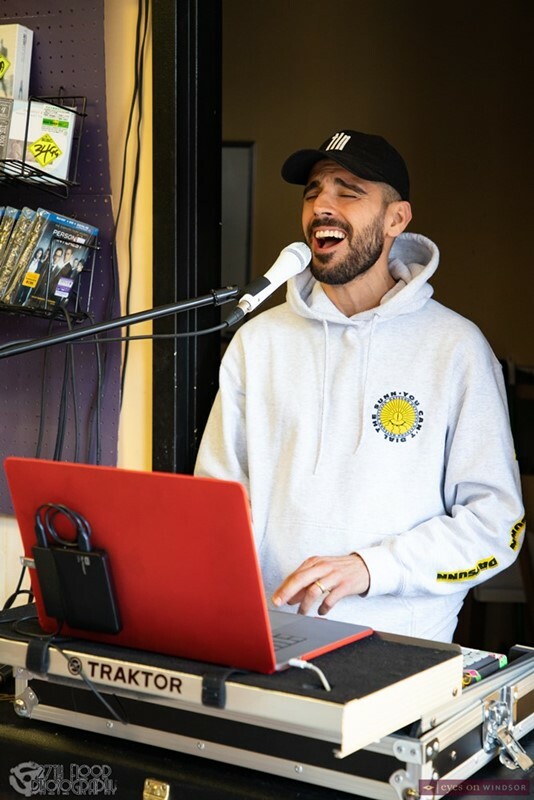 Datsunn, aka Soul Brother Stef and Stefan Cvetkovic, performing live at Dr. Disc Records in Windsor, Ontario, on Record Store Day, April 13, 2019. Photo by Dan Boshart / Eyes On Windsor. 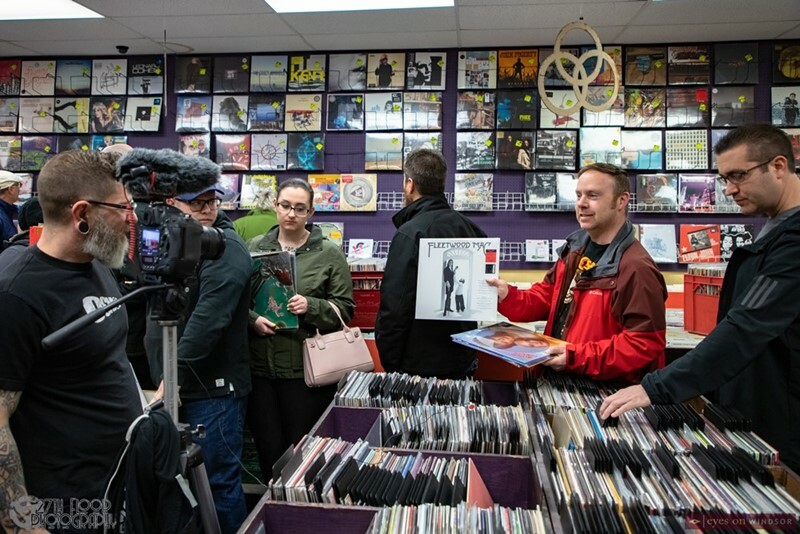 Pretty in the Algorithm filming memorable moments during Record Store Day at Dr. Disc Records in Windsor, Ontario, on April 13, 2019. Photo by Dan Boshart / Eyes On Windsor.